The Forest Department of Gujarat has published a notification recently. The Department is going to fill 1484 vacancies of Forest Guards with the young & dynamic candidates. Aspirants who are in search for the Gujarat Government Jobs and Forest Department Jobs can try to use this golden opportunity. 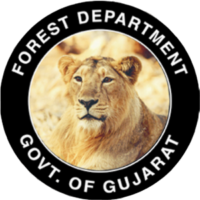 Visit the Official Website forests.gujarat.gov.in (Or) ojas.gujarat.gov.in for Latest Employment News, Recruitment Notification PDF, Results and more updates about the department. The recruitment details such as eligibility, educational qualifications, age limits, pay scale, application fee and so on are given in the Gujarat Forest Guard Recruitment Official Notification. There are several stages to the Gujarat forest guard exam:- Written Exam, Physical Fitness Test and Physical Standard Test, Document Verification, Medical Examination. And then, a final list of selected candidates has Issued an Appointment Letter.